We have been having a lot of fun this year with felt busy bags. After making the kids a Rainbow Color and Shape Match Up busy bag I still had one more rainbow themed idea. My idea was a Rainbow Rocket Felt Set. The kids love rockets and busy bags. So it just seemed like it would be fun. So glad they agreed. The busy bag was a hit. Now all 3 of my kids can enjoy it over and over. 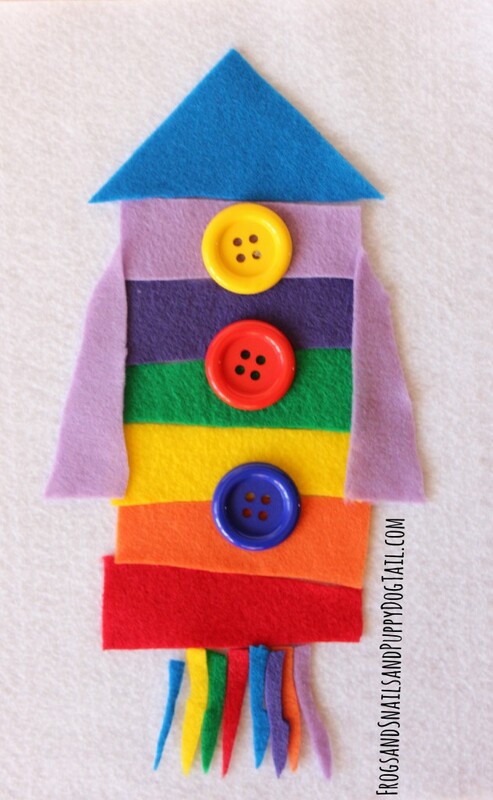 I cut out strips of the rainbow felt for the kids to stack one on top of the other to build a rocket. I then cut a triangle for top and sides. Last some of the leftover pieces looked perfect as rainbow fire coming out of the bottom. I placed a white piece of felt on a cork board. 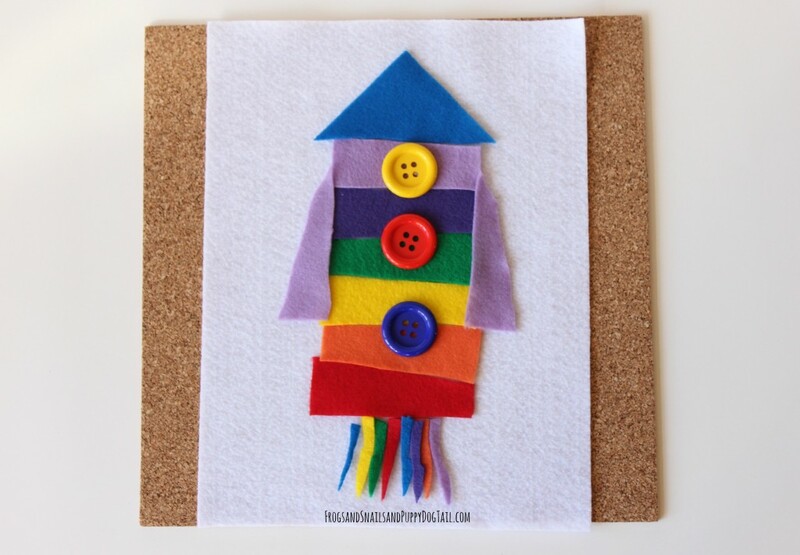 Then I gave the kids the felt pieces and told them they could build a rocket. We built one together and then the 2 older boys built one again on their own. 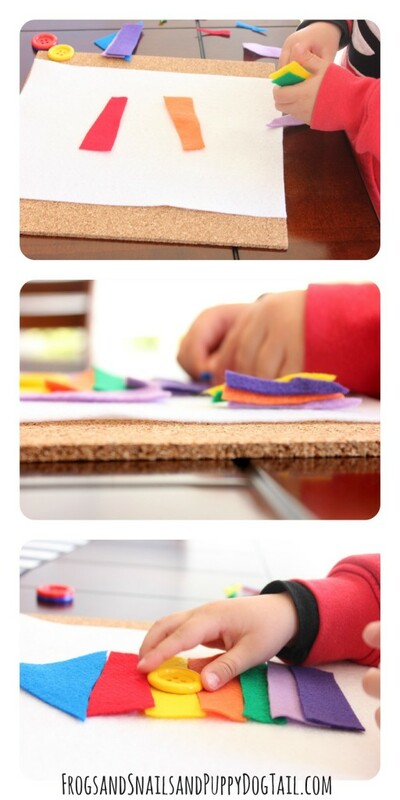 This is a great busy bag to go over colors and some shapes. It also gives the kids time to create on their own. The kids had a lot of fun with the Rainbow Rocket Busy Bag. I am excited they can use it over and over anytime they need a “busy” activity.